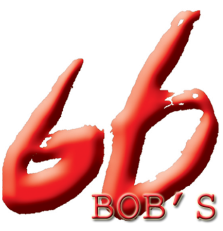 Bob's Shanghai was founded in Rockville, Maryland in 2013. We have been awarded recognition by the Washingtonian Restaurant Guide, the Washington Post, Yelp, and Zagat Survey. Our menu favorites have been the pork dumplings and the crab pork dumplings. Other special dishes include Spicy Szechuan Style Sliced Beef, Crispy Jumbo Prawns with Lime Sauce, Braised Duck, Braised Pork Shoulders and different varieties of cold cuts such as Wine Chicken, Shanghai Fried Bean Curd, and Braised Sliced Beef. Due to our popularity with DC, Maryland, and Virginia residents as well as tourists from all over -- we now have 2 locations, so be sure to visit and enjoy our famous Bob's Shanghai Soup Dumplings!